Question from Chris: Jesus is mentioned that he comes from Venus and now Andromeda says he comes from that Galaxy? Why is there a difference? The Andromeda Val: In actual fact Jesus comes from the Angelic Realms so there is no restriction whatever. He could be at any place all at once. There was a major role he played in Venus – when I say played it was action that took place in the Milky Way – very similar to what is taking place now on Planet Earth. That was, I would say millions of years ago at a time when Divine Light and Love was being enacted into this Solar System. It did not quite go according to the Great Plan the Angelic Realms had, and then it moved to your Plant Earth. So to ask where Jesus came from would be asking a question that is limited. He is an Angelic Being. Jacqui: To continue on with that question we are told that the Planet Earth was moved into our Solar System and established as a garden of Eden – so where did it come from? The Andromeda Val: The Planet Earth has always been in your Galaxy The Milky Way – but it was moved into an alignment to a place of a number of planets that circled your Sun. The planet Earth actually was brought to give balance to that magnetic force that created the solar system. 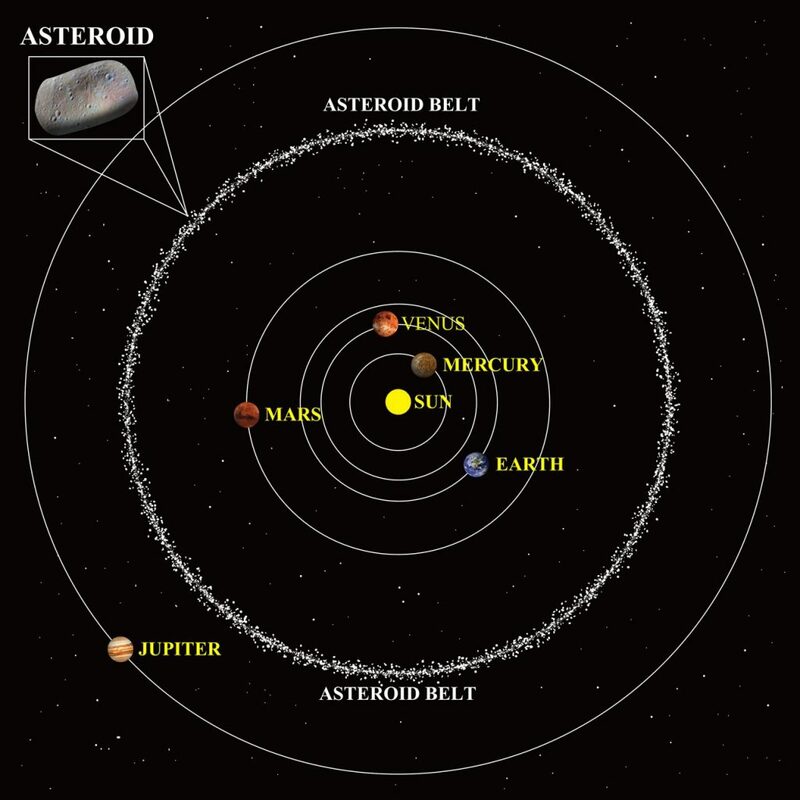 Because one of the planets had been destroyed and parts of that planet still exist in your asteroid belt. That was once a planet. The Andromeda Val: That was the reason that the planet Earth was brought to bring into balance – if that makes sense. The planet Earth, as the Andromedans have said, was created by them. So it is a little hard to explain how a planet was created, but I can assure you it was and it has part of the energy, and frequency of many places from around your solar system and other places as well, that was needed. The planet Earth has the colours from the electromagnetic spectrum deep within the planet Earth’s body – well in the darkness of the Earth – and is held in what you would call gem stones, such as Emeralds, Rubys, Sapphires, Topaz and diamonds, etc. You could ask yourself, “How could the energy frequencies deep in your Earth planet have these colours”? Scientifically that could be explained. This is why Cosmic Sai Baba has asked for the Galaxy of Andromeda be researched. The electromagnetic spectrum would be of great interest in the colours. So they are healing colours and they help heal the Earth. So does that answer your question? The planet evolved of course, it is much more than it began. Imagination – that is the nation of images – will help you to see how it could grow and become a planet which it is now. Can I advise this because some knowledge would not resonate with many people and so we try to keep it simple. Jacqui: Valerie wants to know about the talk of ‘two suns’ existing in the same place? Like different dimensions can exist in the same place? The Andromeda Val: Different dimensions can exist in the same place. As can life forms can exist in different dimensions – shall I explain like life forms can be seen as a vision that you cannot see with the human eye. But they exist in a different dimension. And so you could say that dimensions are different layers of frequency. And when you go into that particular dimension/frequency when you actually adjust you can then see every part of that world. When you look from the outside – it is a little more difficult to be part of that. I am not sure if I am making sense here. But there are divisions from one frequency to another. The Andromeda Val: As has been explained with ‘the level playing field’ of the human race 2017 is evolved and from where that exists it is very different in Andromeda. They are two different frequencies. And once you move into the frequency that exist in Andromeda the physical part of the Soul adjusts to that vibration. It is then easy to see and to come from that place. Evolved Beings like Angelic Realms can actually shift from one to another – if they come from Andromeda they need to lower their Light into the Galaxy of the Milky Way. So I hope I am making some sense here. I would like you to think about that. 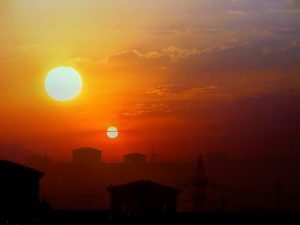 Two suns seen in the same place are different dimensions. Group: We asked if there was a special message for us today. The Andromeda Val: “Val, Daina and Anna are sitting around a table just like you are here – so that hasn’t changed in all these years – it still applies that the energy when 2 or more are gathered in my name of God – I am there. So God is present in a force-field in every dimension there is never any separation … it is the same Force … it is the only Force of all Creation and it is LOVE. It is life, It is caring always. One knows that there are Dimensions that use technology or machinery to gain knowledge and contact such as ‘remote viewing’ that is done with Skype or Zoom. It can develop – and it does – so that there is remote viewing without technology or machinery –it is pure consciousness – it is pure focus and it is always with love without judgement. Otherwise ‘one’ would not be able to go there. It would be blocked out. So spirituality is Love. And it is life and it is science although it is not fully understood shall we say in the Earth Realms 2017 which is so chaotic at this time. But have no fear – it will pass. It will pass … and this you can say publicly, my dears. It is true. It may seem absolutely chaotic but it is leading to ultra change, for the better with no shadow at all.